CBP posted the videos to Twitter on Friday morning. 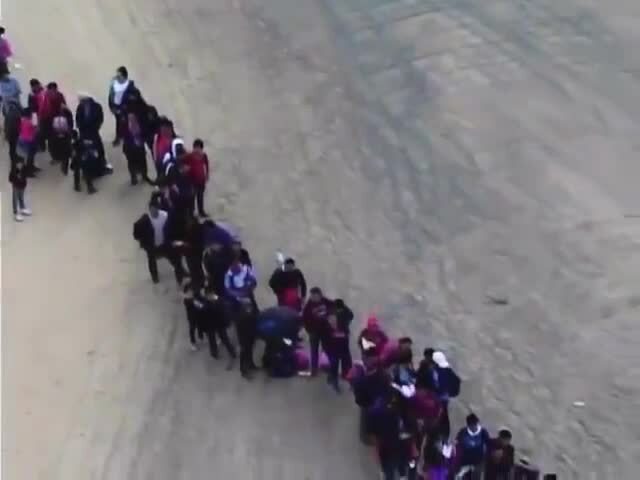 YUMA, Ariz. — The largest single group of asylum seekers ever to cross into the U.S. tunneled beneath the border wall near San Luis, Arizona, on Monday, voluntarily turning themselves into Customs and Border Protection, according to the agency. "In my 30 years with the Border Patrol, I have not been part of arresting a group of 376 people. That's really unheard of." BC News' Ignacio Torres and Mark Osborne contributed to this report.